Homepage > Injury Blog > How Much Do You Know About DUI’s? As there are so many DUI’s arrests in the US, they become “common”. Sometimes people fail to think about the severity of driving under the influence. This is odd since most of us have been indirectly, if not directly, impacted by a drunk driver. In 2016, there were about 222 million drivers holding a valid driver’s license and over 1 million drivers in the US were arrested for driving under the influence of alcohol or narcotics in 2016. Meaning, in 2016, one out of every 222 adults were arrested for DUI. What is more troubling is that the number of arrests continues to climb. If you are one of the many who do not driver under the influence—my sincerest thank you. You make the roadways a better place. In my line of work, I see the consequences of distracted driving and driving under the influence and the consequences are severe. This is not an article discussing whether or not people are falsely arrested for driving under the influence or the issues of defending drivers charged with DUI’s. The sole intent of this article is to raise your level of awareness about the large numbers of people who actually still drive under the influence and the danger it creates for the impaired drivers and all motorists they may injure or kill. 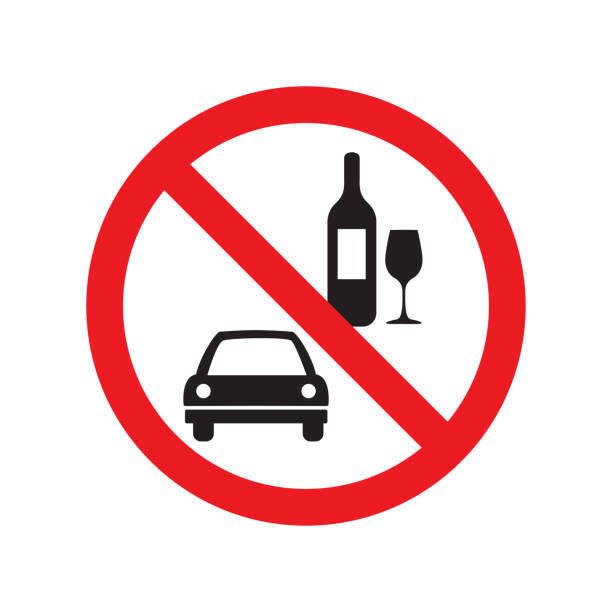 Drivers with a BAC (Blood Alcohol Concentration) of 0.08% or higher are considered alcohol-impaired by law in the U.S. This level has been adopted by all states. When you are arrested for a DUI, there are legal ramifications. If you are arrested, you will have to hire an excellent DUI attorney. At the minimum, drunk drivers usually go through a long criminal process. If a drunk driver causes a motor vehicle crash , that driver has serious legal consequences including criminal defense fees and insurance issues. Losing one’s license is generally the least of one’s concerns after a serious crash. If you cause a crash that seriously injures others or worse, causes fatalities–the consequences can last a life time for the drunk drivers as well as the victims. Living with the fact that you caused serious injuries or death to other people due to a very poor decision can be a very negative life-changing experience. Choosing to climb behind the wheel after you have been drinking is the definition of negligence–failing to take proper care in doing something. Unless you have lived on a deserted island for the last 50 years, you’ve been well informed and educated about the absolute tragedy that ensues when people chose to drink and drive. According to the CDC, 29 people die in motor vehicle accidents daily due to alcohol-impaired drivers. This is an average of one death every 50 minutes. That number alone should be overwhelming. Fatal crashes due to impaired drivers is preventable. In 2016, 10,497 people died in alcohol-related driving crashes which account for 28 % of all traffic-related deaths in the U.S. Of those total crashes, 1,233 traffic deaths were of children ages 0-14 (17%). Thus, the real consequences of driving impaired are not just criminal charges or jail time, but the reality that as an impaired driver, you are responsible for the loss of life of another person simply through your choice of choosing to driver while impaired. This choice is the definition of negligence. The annual “self-reporting” of alcohol-impaired episodes among U.S. adults is quite high. In 2014, over 111 million episodes of driving under the influence were self-reported. That was down from 2012, with a self-reporting number of 121 million episodes. Honestly, if you are involved in a fatal crash, self-reporting is often a forgone conclusion as sobriety checks and even possibly measuring for BAC is required by law enforcement. Most of this data was gathered through questionnaires, “During the past 30 days, how many times have you driven when you’ve had perhaps too much to drink?” In many serious crash incidents, a drunk driver becomes obvious through their behavior. Fatally injured victims of drunk driving do not get second chances to make better decisions, nor do any of the victims (impaired or not). It is such a final consequence for a bad decision. In fatal crashes where individuals are killed resulting in wrongful death cases, my firm can never, never really make the situation right. Never will a wrongful death claim bring about the return of a loved one. However, a wrongful death claim does frequently help the family members absorb many of the costs that the loss of the loved one brings. Loss of a loved one’s wages or financial contributions is merely a small fraction of what a wrongful death case is usually about. Serious injuries are also a frequent result of driving under the influence. The sheer amount of medical treatment required by someone who is seriously injured is most usually staggering. We talk to individuals daily. Not everyone needs our help. If you are not hurt, then you probably don’t need an attorney. But………..you don’t ever know the full extent of your injuries for several days to several weeks. So, do not talk about your injuries with any insurance company until you have a free consultation with an attorney.